In the recent Union Budget 2019-2020, the Finance Minister has announced to start the Pradhan Mantri Kisan Samman Nidhi Scheme (PM-KISAN). Now Union Agriculture Ministry said in its guidelines to the state govt’s that for the transfer of 1st installment (Rs. 2,000) of PM Kisan Scheme for December 2018 to March 2019 duration, aadhaar number shall be collected wherever available. For the subsequent 2nd and 3rd installments of Rs. 2,000 each under PM KISAN Scheme, Aadhar would be compulsory. Also beneficiary identification process is mentioned in the PM Kisan Scheme new rules. In PM Kisan Scheme, the central govt. is going to provide Rs. 6,000 per annum to farmers through direct benefit transfer (DBT) mode. This amount under PM – Kisan Scheme is to be given in 3 equal installments of Rs. 2,000 each. It means that Aadhar is optional for PM Kisan Scheme first installment of Rs. 2000 while it would be mandatory from 2nd onward. The Modi led NDA govt. has made a budgetary provision of Rs. 75,000 crore for the implementation of PM Kisan Sanman Nidhi Yojana. The central govt. 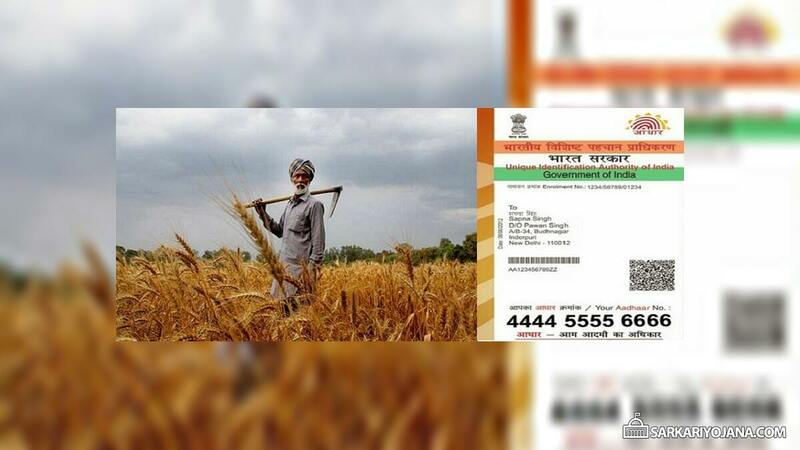 has made aadhar number of farmers optional for small and marginal farmers to avail 1st installment of Rs. 2,000 under PM-Kisan Scheme guidelines. However for 2nd and 3rd installments, it is compulsory for farmers to show Aadhaar number to verify their identity. In the Interim Budget 2019-20, govt. has announced direct income support of Rs. 6000 per year under PM Kisan Samman Nidhi Yojana. The Agriculture Ministry has issued PM Kisan Scheme New Rules to the state govt’s to ensure that there is no duplication of the eligible farmers. All the state govt’s have been directed to prepare a database of the beneficiaries of the small and marginal landholder farmer families in the villages. This data must capture the details of farmers such as their name, gender, caste (whether SC / ST), aadhaar number, bank account number and mobile number of the PM Kisan Scheme beneficiaries. To calculate the PM Kisan Scheme benefits, the central govt. has already defined a family as a small and marginal landholder family which comprises of 1 husband, wife and minor children upto 18 years of age. The family must collectively own cultivable land upto 2 hectare as per the land records of the concerned states. In order to identify the land ownership, the central govt. said in PM Kisan Scheme New Rules that it will use the existing land ownership system which already prevails in the states and union territories. The last date to determine the land ownership as per the land records under the PM-KISAN Scheme will be 1 February 2019. All the changes made in land records after this cutoff date would not be considered for eligibility of the PM Kisan Scheme benefit to the new land holder for next five years. In addition to this, PM Kisan Scheme benefits would remain available on transfer of ownership of cultivable land on account of succession. In case that a landholder farmer family (LFF) has land parcels spread across different villages / revenue records, then land would be pooled to determined the PM-KISAN scheme benefit. In various north eastern states, the land ownership rights are community based so govt. would develop an alternate implementation mechanism which would be approved by the committee. The state govt. will notify all the district level grievances redressal committees to redress all grievances related to the implementation of PM Kisan Scheme. Furthermore, a project monitoring unit would be setup at the central level while the state will designate a model department for the implementation of PM-KISAN Scheme.